Write. just….write. Tasking myself in this art that is my therapy, can be challenging. Writing sometimes feels like a beast; words don’t readily reveal themselves, and yet there is a fluidity in movement, in ideas, in form and inspiration; so much activity that begs to be shared. It’s easy in the kitchen, creating; weaving beauty into the flavor and fabric of the food I make and share with loved ones. This past month has been full of inspiration from the farmer’s market parcel that arrives at my doorstep weekly. 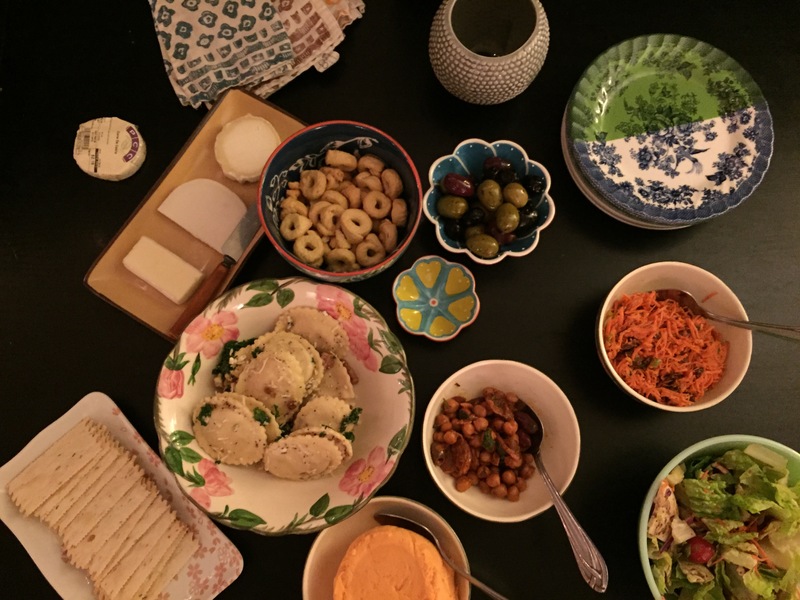 Urban living doesn’t preclude me from wanting to enjoy local, seasonal foods. There’s a fair amount of diversity in the PNW, and it’s relatively easy to eat within the seasons, though I do get smitten by the pomegranates and Fuyu persimmons when they hit the local brick and mortars. Disassembling a pomegranate to unearth those sweet and juicy-jeweled orbs is worth a bit of splash along the counter and apron. 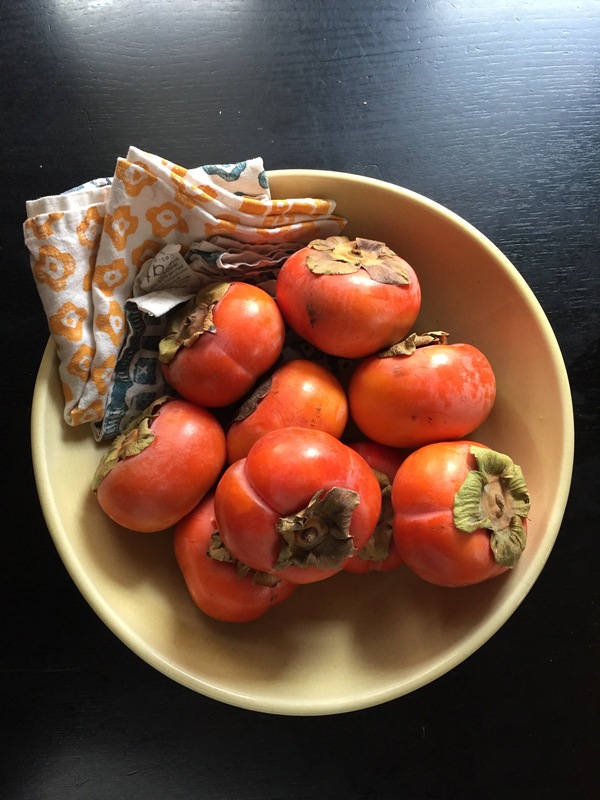 And the persimmons! I give each one a daily squeeze until they’ve got just enough give before my teeth into their glossy skin and inhaling the succulent flesh beneath. I’ve been incredibly indulgent with them, eating one nearly every day. It’s such a short season. And I need little excuse to bake. With a party on the calendar, I readily offered to bring dessert. As usual, inspiration comes when I am out on a run, or in the mountains, away from the daily grind. There is such clarity in those moments of pure movement, fresh air; it primes me for new genius. 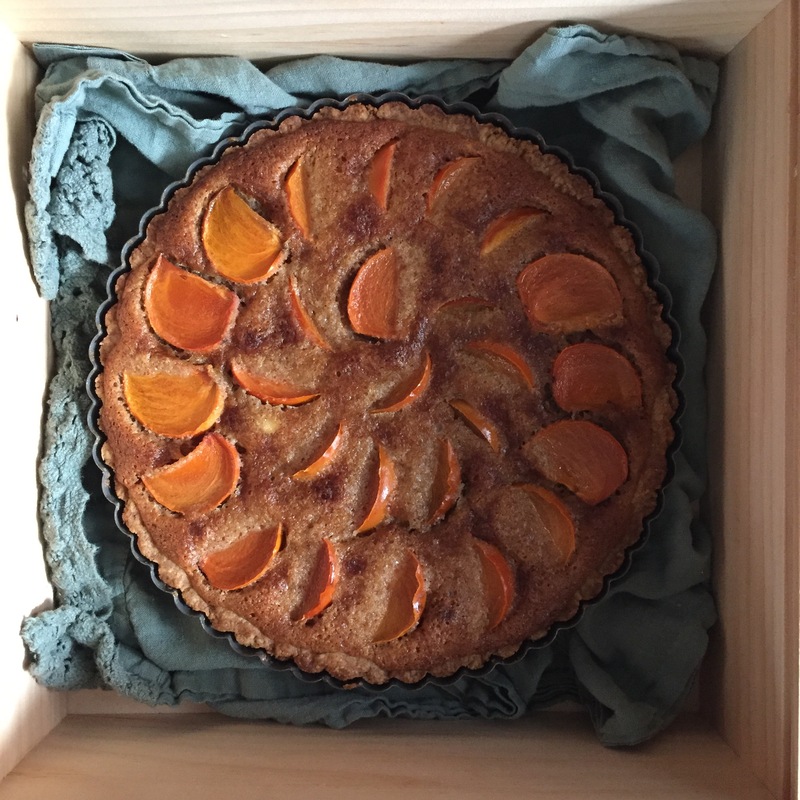 Last Friday, for example, I was in the woods when the idea of a persimmon frangipane confection came to mind. Simply an adaptation of the pear and almond tart from this post I’d made a while back and have served more than once, to welcome recipients. 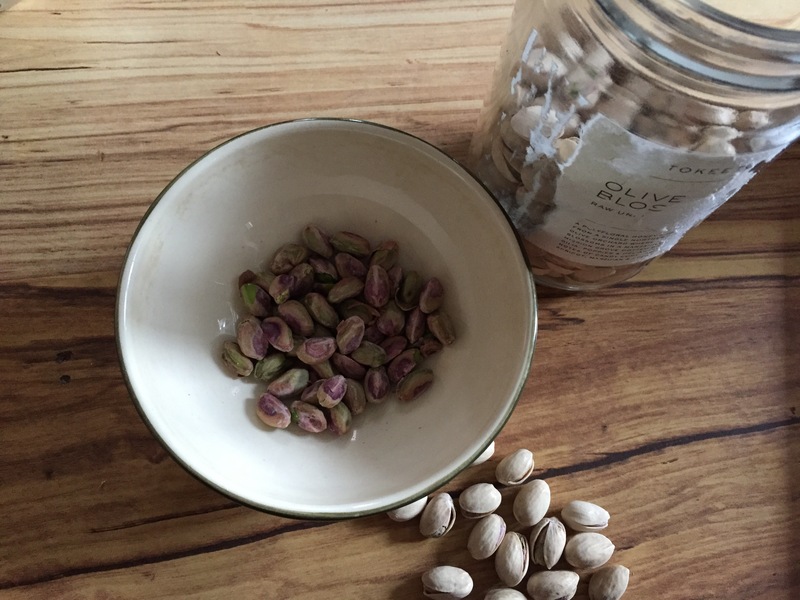 Pistachios have also been my jam lately, and the exotic persimmon pairs well with their distinctive flavor. 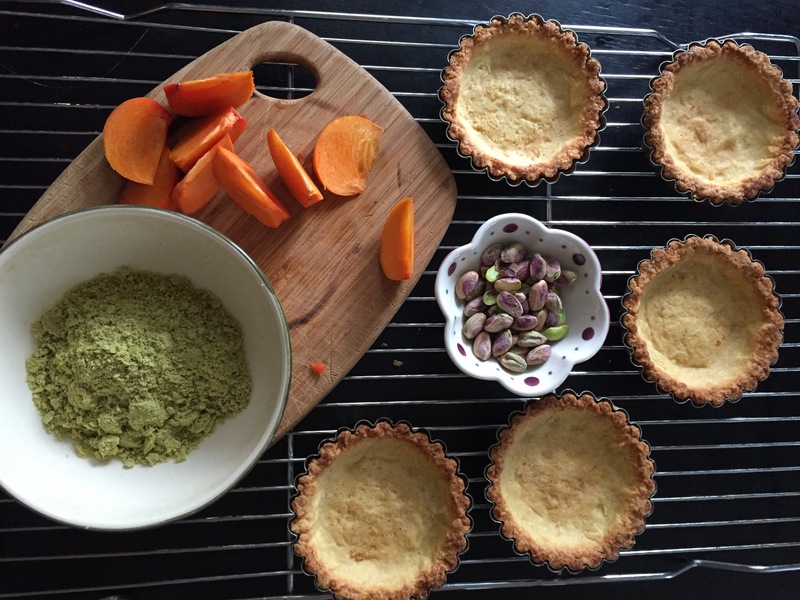 A few mini-tarts with some pistachio cream and fresh persimmons seemed the next logical creation. 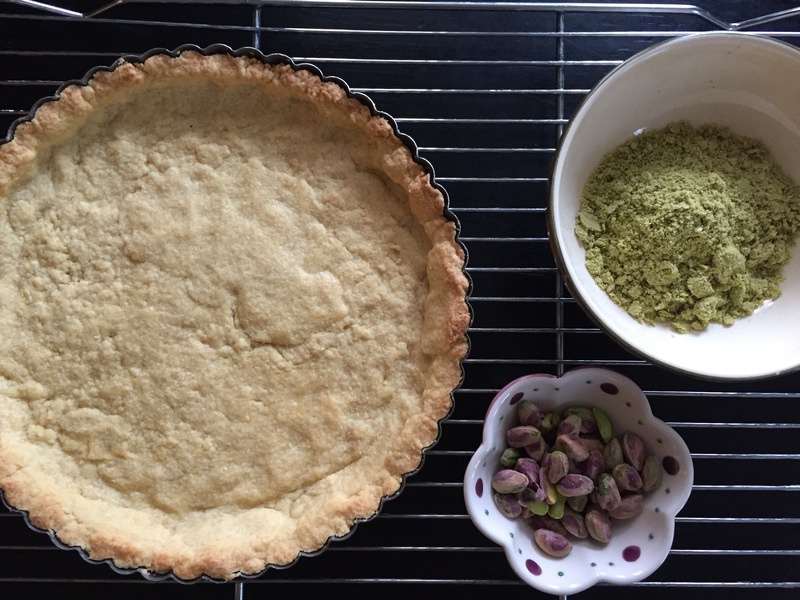 For the pastry cream, I just borrowed M.S.’s pastry cream , omitted the vanilla bean, whisked in 1/2 cup finely ground salted pistachios and proceeded with the cream. 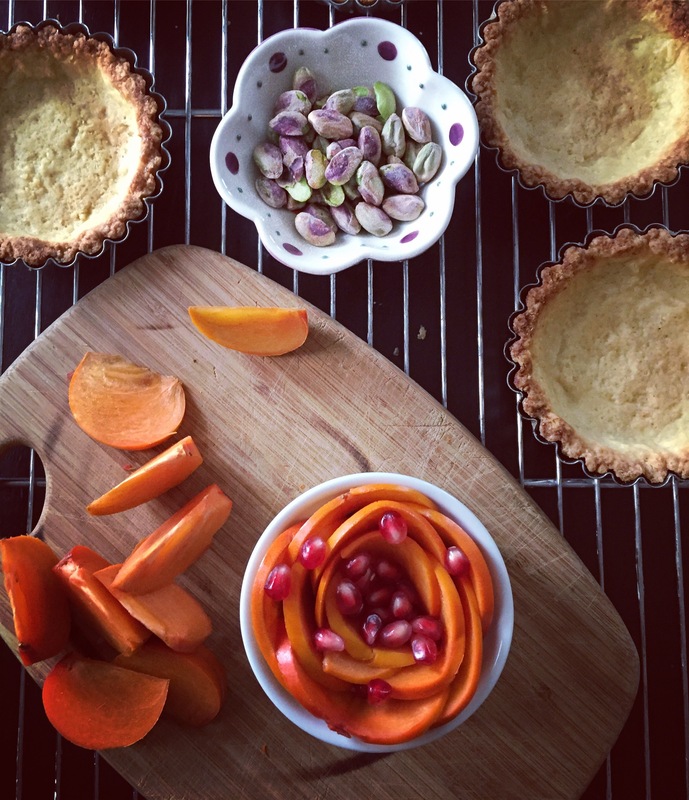 I used about three persimmons for the almond tart, two thinly-sliced for the mini tarts with pistachio cream. What makes these desserts so comely is the love behind them. Made with good intention and beauty, they are an extension of gratitude and sweet indulgence to be shared with good company. Let this ignite your passion to create and serve beautiful food. (And for those with more exacting inclinations, I promise to include recipes next time).